Coronary heart disease or simply, heart disease, is Australia’s leading cause of death. In fact, we lost 19,077 Australians to the disease in 2016 alone*. Heart disease affects the coronary arteries - the blood vessels that supply your heart with blood rich in oxygen. 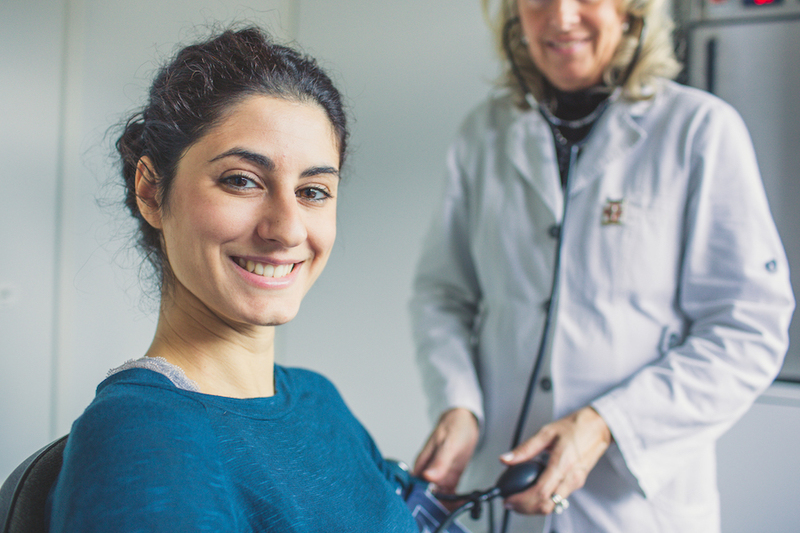 If you’re over 45 years of age (or 35 if you identify as Aboriginal or Torres Strait Islander), it may be time to see your GP for a heart health check. This can be conducted as part of your general check-up, which you should be having on a regular basis (ask your GP how often). What’s involved in a heart health check? You’ll have your blood pressure and cholesterol levels taken, discuss lifestyle factors like whether or not you smoke, and anything relevant from your family history. Remember to ask your GP for the report that becomes available when your blood test results are in - this will state your risk for a heart attack or stroke. maintaining a healthy weight through diet and exercise. * Australian Bureau of Statistics 2017, Causes of Death 2016, ABS cat. no. 3303.0, September.